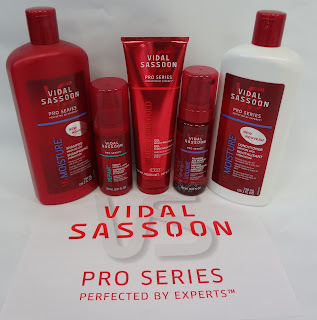 Mom's Musings: Loving Tender Care for your Hair - Vidal Sassoon Pro Series Giveaway!! Loving Tender Care for your Hair - Vidal Sassoon Pro Series Giveaway!! If you are a regular follower of my blog, you will know that I have 4 girls and 1 boy...Yup, 5 kids!! My favourite product from this line is the Moisture Lock Shampoo and Conditioner. I love how my hair feels after my shower, revitalized and refreshed! I am almost ready to share these with my girls, and I am pretty sure my oldest will like the Repair and Finish Spray along with the Boost and Lift Foaming Air Mousse. The Moisture Lock Shampoo cleanses and quenches hair’s thirst, while the Moisture Lock Conditioner helps to seal in moisture, leaving hair soft and silky. The rich moisturizing formula helps prevent dry or damaged-looking hair, leaving it noticeably smooth and irresistible to the touch. The Boost & Lift Foaming Air Mousse contains a foam technology that helps control unruly hair for a fashionably weightless and pumped up feeling. This formula provides up to 24 hours of flexible hold, long lasting volume and is easy to comb out. The Repair & Finish Spray creates a conditioning shield to help protect your hair and restore smoothness. The formula helps protect damaged hair from breakage while helping to seal in style and taming flyaways. The Mega Firm Hold Gel provides a strong hold, allowing for perfect and customized control for up to 24 hours. This professionally inspired formula helps lock out frizz, while smoothing hair to keep your style all day. Ends on March 9th, at 11:59pm EST. How often do you pamper your hair and what product would you love the most? I don't pamper my hair as much as I should. I have dry, frizzy hair and should do a deep conditioning every once in a while! I pamper it when i have time anywhere from weekly to monthly with extra conditioning or something. I want the conditioner the most as my hair is so dry. I like to pamper my hair with a deep conditioner once a week! I do a weekly hair mask, it's very good at deep conditioning. What I'd like to try the most is the Repair & Finish Spray. Would love the moisture conditioner. I would like to try the Moisture Lock Shampoo and the conditioner and I do not pamper my hair as much as I should. it is so dry! I'd most like the Repair & Finish Spray and I go to the hair salon every 6-8 weeks for a trim and style. 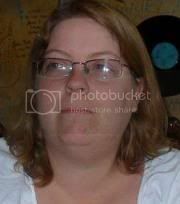 I liked Vidal Sassoon on facebook via Rhonda Way Greig. I don't spend a lot of time pampering my hair besides shampooing and conditioning it. I would like to try the The Boost & Lift Foaming Air Mousse the most to help control my fly away hair. I tend to get things on sale so I don't have many favourites but I do use Scentsy Layers bodywash and it's worth the splurge! I dont pamper my hair very often!! I would like the Moisture Lock Conditioner the most! I don't pamper it as much as I should. Every few months. I like to try the Repair & Finish Spray.